The 5 Best Baby Spoons For Feeding Your Little One! Once your baby starts to grow older, he'll become a toddler ready to start eating solid food! It sounds amazing, but you also need to take account the utensils he should use, especially for his sensitive teeth and smaller mouth. This is where the best baby spoons come in. With this helpful utensil, you can feed your baby safely and efficiently. But what are the types of baby spoons you should invest in? Read on as I show you the ultimate purchasing guide! So you're beginning to fed your child solid food such as soft cereal and pureed fruits? That's awesome! Your baby will be in for a whole new experience as he begins to explore new flavors and textures. And since your baby can get quite messy trying to eat his food, it's best to invest in the right utensils he needs. And no, you shouldn't be using your regular spoons when feeding him. One of the biggest differences baby and regular spoons have are its size. A baby spoon is meant to fit the size of your baby's mouth, whereas the regular spoon is too big and may leave him uncomfortable while eating. Another factor is the material the spoons are made out of. Regular spoons are usually made out of plastic or metal, while baby spoons are made out of soft silicone to keep their teeth healthy. The hard and cold spoons may be too much to handle as well. That's why it's important to look into baby spoons rather than "saving" and having your baby use his hands or normal spoons your whole family uses at home. Why Should You Feed Your Child With a Baby Spoon? 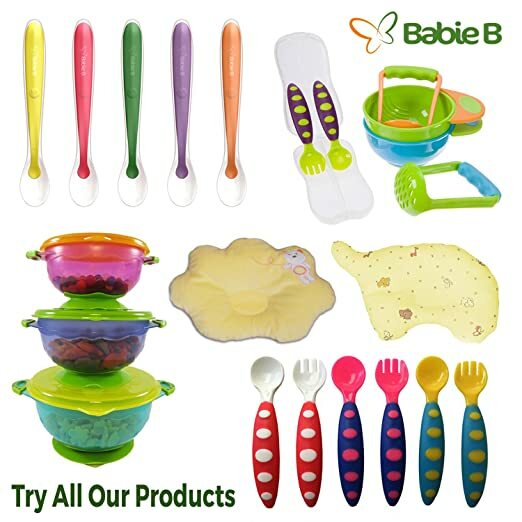 Baby spoons are made out of the BPA-free materials that have no chemicals contained in it. Because babies are more susceptible to germs and illnesses, they may come into contact with pollutants from silverware and the like. You are assured that your little one has less or a risk getting contaminated from silverware or other types of utensils with his spoon. Spoons for babies are made out of soft silicone. Since they begin teething and have more sensitive mouths while they are young, the soft silicone will be able to keep them comfortable while they eat. You won't need to worry about him wincing in pain and being too scared to eat because of a spoon's hardness. The soft material will keep him happy. What I like about baby spoons is that I can either feed my baby or he can feed himself because of its small size and nice grips. I also like that it can come in various colors to keep the baby entertained while he eats. 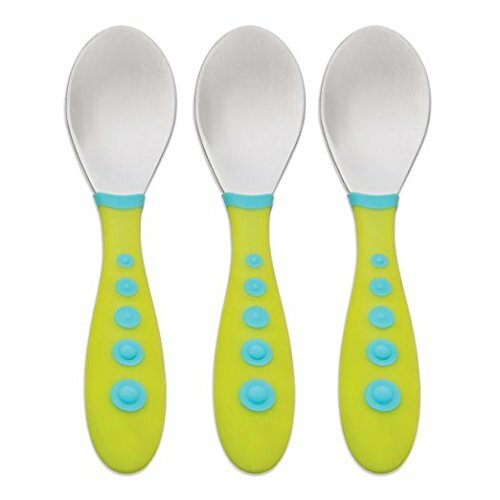 The baby spoons you should purchase must have the soft and flat tip to bite into easily. That way, it protects your baby's gums while preventing a huge mess from a usually curved spoon. Soft silicon is the basic and popular material, made out of BPA-free ingredients to ensure no chemicals that will harm your baby. The design should not only be flat-tipped but with a cute color to it that will interest your baby to have him eat more. Another factor to consider here would be the spoon's weight. Avoid a thick handle as it may be uncomfortable to carry, especially if it will be your baby handling it. The design should be easy to carry and with a nicely sized-spoon that makes it easy to fit into small baby food jars and bowls. Something easy to clean is also a huge plus! I always recommend people to go for a set, so it's easy to maintain the quality of the spoon. If you plan on spending a bit more for one baby spoon, ensure that it is worth the investment and that your baby will appreciate it throughout his toddler years. But also, don't scrimp on a low-quality spoon as well! Find the balance between what you need and begin from there. Look for trusted brands and read up on legit customer reviews (like this one) to help you get a basis of the budget and where to purchase your baby's spoons. Start off with sticky food first, such as yogurt, rice cereal, mashed potatoes, or even mac and cheese, so it sticks better to the spoon and prevents much more of a mess. Your baby may be hungry at the start of the meal, so he'll want to grab everything in sight. If you're working with a hungry and squeamish toddler, then experiment and use the spoon slowly. While he will be frustrated and may mess up, be patient and always expect the worst until he starts learning how to hold a spoon on his own. Once you start teaching your child to feed himself, start off by using his hands. Then start using the spoon and letting him be acquainted with how it works. Let him hold the spoon while you are as well. 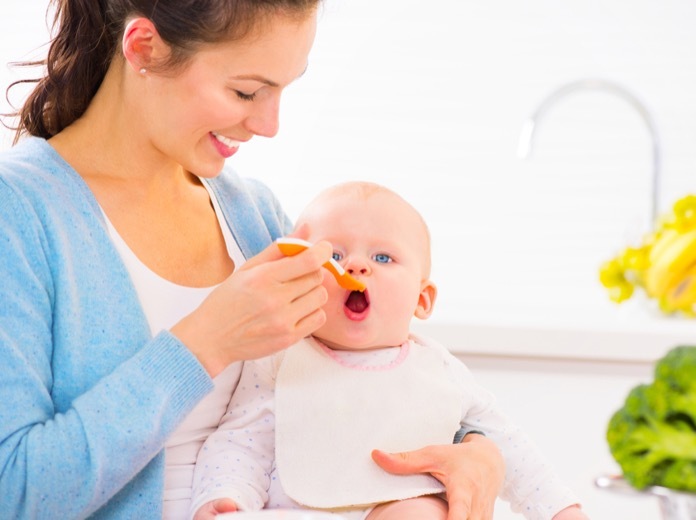 Once your baby starts knowing how to grip the spoon properly, allow him to practice feeding himself and supervise him until he knows how to eat on his own. What I appreciate about the BabieB is the fact that it comes in a set of five, all with different colors that will surely entice my baby! It has the perfectly-sized shallow spoon to give the baby the right bite, as well as the soft spoon that has makes it even better for me to feed my child with ease. My baby is in love with the spoon, as it's soft enough for them to bite and they can eat as much s they want without hurting them or the spoon. I also like the quality of the spoons, as it's rubber and food can stick very easily to it, making me get the last drop of everything, from yogurt to cereal. All in all, it's a great purchase! 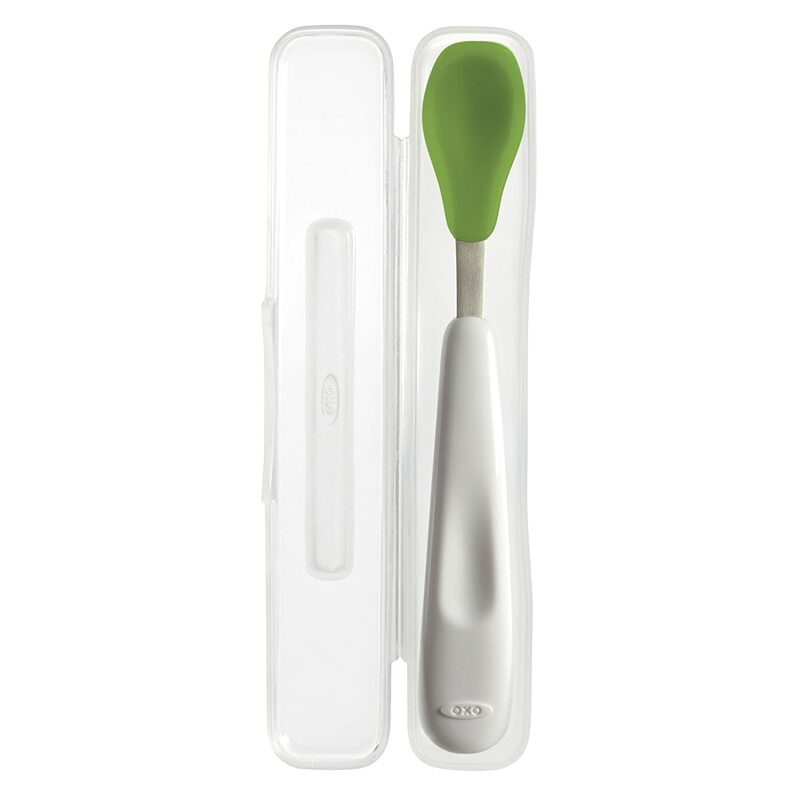 The green and natural shape of the Olababy spoon make it kind of cool to handle. It has a thicker handle, making it perfect for me to grip on. I also like the fact that it's made out of soft silicone that's BPA-free and dishwasher safe, so I won't need to worry about it being difficult to clean. The shape is lovely and does wonders for my baby since he can easily bite and swallow his food now. And the fact you can have it stand is a huge plus, as it's ideal for when you need to store it properly. Gerber is a well-known brand known for their baby products, with their kiddy cutlery spoons being another great one. 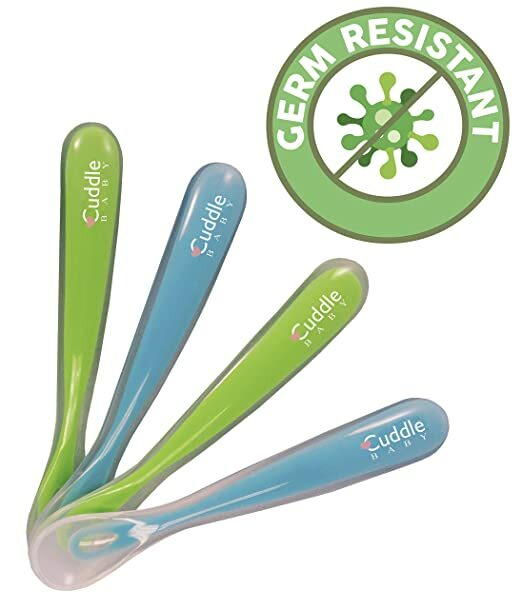 I like that it comes with a Rest Easy support that keeps germs away from the utensils, as well as the stainless steel tips for babies who prefer the steel material over the soft silicone. It even has the soft handles ideally sized for baby hands, a perfect way to train your baby into eating by himself. With three spoons in gender neutral colors, it's perfect for either baby boy or girl. I also like the fact that it's easy to clean, with it being dishwasher safe. If you're poking for something suitable to travel with, then I recommend OXO! Their spoons are soft and comfortable to hold, and they even come with a traveling case to easily store while on the go. 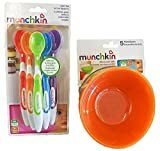 It has the perfectly shallow spoon that's small enough for a baby's mouth, as well as silicone edges that make it easy to scrape the remaining food for your child to eat. Soft on the mouth and compact for traveling, this is the spoon for the baby always outside! 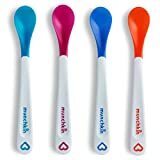 For a set of four, Cuddle Baby Gum-Friendly Feeding Spoons have the soft silicone that is made out of BPA-free material and hypoallergenic, so you are assured that your baby is safe and healthy with these utensils. It's a shallow spoon that's soft and friendly for your baby's gums, may they be teething or not. I love the cute design and the firm yet flexible material that makes it easier to feed my baby with. Overall, a nice investment! When it comes to feeding your baby, you know you can't breastfeed them forever. But neither can you immediately start giving them solid food without the proper utensils. With soft baby spoons made out of safe and smaller materials, your baby will have a great experience eating his new favorite food without the risk of choking. With all the baby spoons available, the best one will have to go to BabieB BEST Baby Spoons. 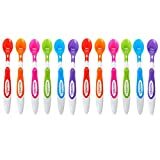 It comes in a set of five colors and with the BPA-free soft tips that your baby will appreciate. It's easy to hold and perfectly-sized for your baby's mouth. 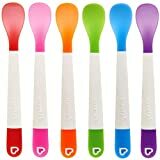 The soft silicone and bright colors will have your baby enjoy his meal without pain and with added curiosity. And with its money back guarantee, you can't resist getting these as it's worth the price for a set! Whether it's a gift for parents or your child, even you will like its grip and quality when serving your baby. I hope that this article on the baby spoons helped you find what you need when you're starting to introduce solid food to your baby. So what are you waiting for? Check any of these spoons out and make the right investment today. If you have any questions or would like to share your tips and reviews with baby spoons, then comment down below. I would love to hear what you have to think.